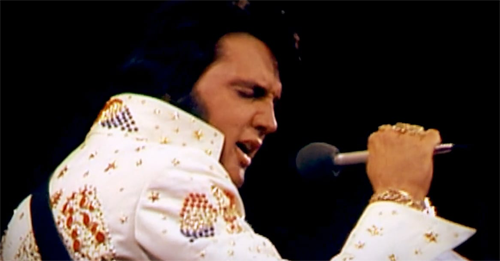 We asked fans to name the Elvis songs that really make them want to dance. I wasn’t surprised that fast songs dominated (Elvis is the King of Rock and Roll, after all). But I was a little surprised that so many songs featured in Elvis movies made it to the top of the list. Elvis Presley’s version of “Burning Love” was released on August 1, 1972 and ended up rising to #2 on the Billboard charts. This rocking tune was a mainstay of his shows in the 1970s. The final years of Elvis’s recording career featured a lot of ballads, but “Burning Love” was a definite throwback to his rock and roll roots. “Blue Hawaii” was the most popular of Elvis’s films, and “Rock-A-Hula Baby” was one of the most memorable songs from that movie. It’s been getting people dancing ever since. Another song from an Elvis movie (this time from Fun in Acapulco), “Bossa Nova Baby” is a tune that makes it hard to resist getting up on your feet and having a good time. The title song from the film, “Viva Las Vegas” is non-stop energy. The energetic and relentlessly upbeat tune has become an unofficial anthem of the city of Las Vegas, Nevada. 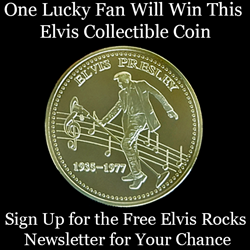 Jailhouse Rock was voted as the most popular Elvis dance song! One of Elvis Presley’s earliest hits, Jailhouse Rock was recorded in 1957 and spent seven weeks at #1 on the charts. The movie’s choreographed dance routine with Elvis and his fellow jail mates is nearly as iconic as the song.